When I was in grade school, I learned the adage that March comes in like a lion and goes out like a lamb. Well today is the first of March, and we are definitely looking at lamb material outside! It’s downright warm today. Does that mean March will exit like a lion? I know Punxsutawney Phil called for an early spring this year, but this early? Little League practice begins next week for our household, and the daffodils are about to bloom on the Nevada City freeway–both of which usually herald bad weather in these parts. It’s commonly agreed that it always snows on the daffodils. 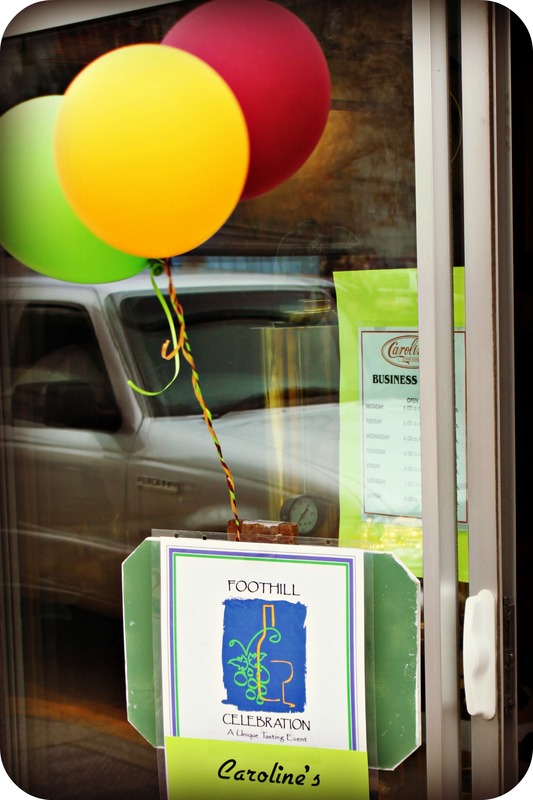 In other news, tomorrow from 1-4 pm is the annual Foothills Celebration. I think that you can still buy tickets at the door, and you can find out more about it here. We’ll be pouring wine samples and serving our coffee rubbed tri-tip with a fresh green salad. All over town there will be food and wine options in the different shops: your chance to enjoy downtown while sipping wine–something you can’t often do! This week’s coffee of the week is an Organic Fair Trade Bolivian. For many years Bolivian coffees struggled with infrastructure: it’s hard to get high grown coffees around/over the Andes. This is fair trade coffee is grown by a co-op, and by working together they’ve been able to process their coffee before transporting it. This means that it travels in a more stable state, which leads to better coffees. Actually, I suppose that I should have begun with the fact that Bolivia is a landlocked country in South America: I’ve been asked the location several times this week. It is surrounded clockwise by Peru, Brazil, Paraguay, Argentina and Chile. The Andes run right through the western side of Bolivia, and this coffee is grown in the northwestern corner, near La Paz. Our Organic Fair Trade Bolivian is a classic South American coffee: smooth, with a medium acidity. It is not as nutty as last week’s Faz das Flores Brazilian, but the cupping notes are not so different either. It’s a little earthier, just as bright, and has a similar level of light sweet finishing tones. Come on in and try it as your free cup this week by using the code above (hint: it’s landlocked country). Trace and I will be here tomorrow for the Foothills Celebration: if the time works for you, come tell us what you think!